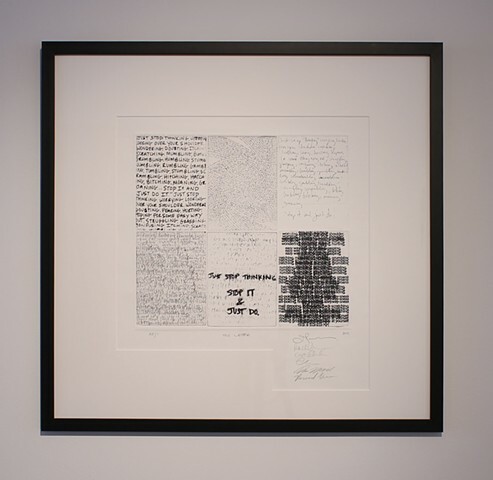 In The spirit of the Haugberg fellowship at Pilchuck Glass School: I asked each artist to rewrite a portion of a letter Sol LeWitt wrote to Eva Hess in 1965. These words were jumbling around in my head and so I asked each artist to rewrite these words in their own writing, to respond in the moment. This print is the result of that exercise in collaboration.